Mass murderer Anders Breivik, who’s accusing the Norwegian government of violating his human rights by allegedly holding him in shoddy prison conditions, used his first court appearance since 2012 to offer a Nazi salute to the cameras. Breivik, who massacred 77 people in 2011, has repeatedly complained of being kept in solitary confinement – a version of which is puzzling for people from countries where they don’t give you three rooms and a TV for killing scores of people. 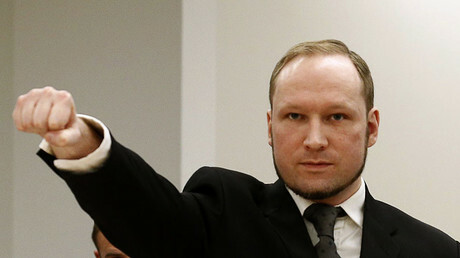 Breivik is now suing the Norwegian government. 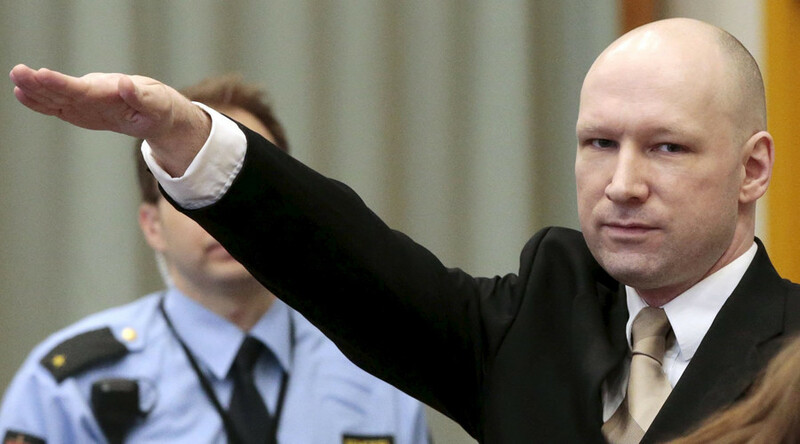 Appearing on Tuesday in a closed session wearing a black suit and tie, Breivik, 37, did not wait for the session to start in earnest, and displayed a right-hand Nazi salute to the cameras – behavior he has previously been known for. There was a discussion about having the trial in Oslo, but the idea was considered too unsafe, and the hearing was being conducted inside a prison gym, protected by concrete and steel bars. The facility is situated some 80 miles (128km) southwest of the capital. As a result, Breivik’s lawyer argues he has developed an inability to do things like concentrate on his distance university studies, which he commenced last year. "He wants contact with other people," Oeystein Storrvik told reporters prior to the start of the March 15-18 trial, according to Reuters. “One of his main things to do [in prison] was to study and he has stopped that now, and I feel that is a sign that isolation has been negative to his psychological health,” he told AFP shortly before the hearing. Prison authorities argue, however, that Breivik is also being kept in solitary confinement because his views are simply too dangerous to risk being spread amongst other inmates. But Breivik’s living quarters can hardly be compared to some other places in the world: he has a three-room cell with a television and a computer (albeit with no internet access). He also has use of the yard for walking or exercising. But the only visitor he has ever had was his mother, who died of cancer in 2013. There is no jury in the hearing, and the verdict will be read by the judge in the next few weeks. Breivik is serving the maximum sentence of 21 years for the crime of killing eight people in Oslo in July 2011 with a bomb, and gunning down another 69 people on a nearby island, many of them teenagers. Опубликовано RT Play 15 марта 2016 г.